Family-friendly ski resorts aren’t just about finding a good children’s ski school. How far is the resort from the airport? How does it cater for different skill levels? Are there non-skiing activities for different ages? So here are – at least in our opinion – some of the best options for a family ski holiday in Austria. Seefeld is located close to Innsbruck airport, the main ski airport in western Austria, and hits more of the buttons for those looking for a family vacation than any other of the resorts featured. Why? A short transfer – under 30 minutes drive from Innsbruck. Children-friendly ski slopes which are close to the resort centre. In fact, make that in the resort centre. The main ski school offers a ski kindergarten and a dedicated children’s ski school. Seefeld boasts top hotels which are used to dealing with families and plenty to do with the children outside the hours of skiing. And for those looking to go away with three generations of the family, there are the added attractions of cross-country skiing (Seefeld is one of the top cross-country skiing areas in the world), winter walking and coach excursions to nearby sites. Zell am See has long been one of the most popular of the ski resorts in the Salzburg side of the Austrian Alps. The setting is stunning, with the town nestling between the ski slopes and the frozen lake. Children, however, are notoriously unimpressed with scenic beauty and there are several other advantages which make the resort attractive for family holidays. Zell am See is relatively large for a ski resort and it has a busy summer season, which means that there are plenty of attractions outside skiing on offer. The size also means that there are plenty of ski schools with different children’s programmes and a lively centre of the resort. The transfer to and from Salzburg airport is also relatively short and the resort also has good train connections. Obergurgl has long been a high-altitude favourite for family skiing. 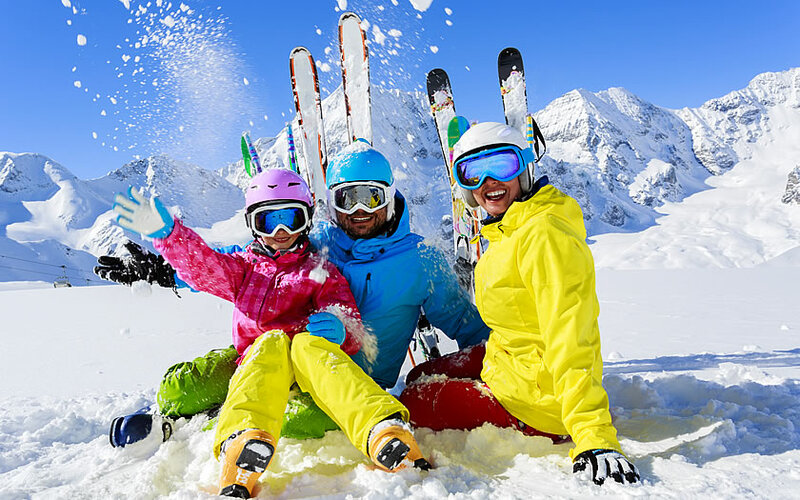 British ski families have been taking the journey up to the relatively isolated and exclusive resort since the first package holiday boom. Yet the resort is not full of facilities, it’s a fair way from any airport and it’s certainly not one of the cheaper options in the Alps. Part of the answer lies in the standard of services on offer. The local ski school has a reputation which is second-to-none and the standard of accommodation on offer is outstanding. Why look for facilities outside in the village when your hotel offers most of the ones that you want inside its four walls? The resort itself is an attraction for families – the small size and upmarket and quiet nature making up for the journey up mountain roads. Serfaus is an unusual resort in the mountains to the west of Innsbruck, with an underground railway connecting various parts of the resort to the ski lifts. The relative absence of vehicles (most are parked in a massive car park at the entrance to the village) is one reason that Serfaus has become tremendously popular with European families. Another is the fact that the slopes are easily accessible in a wide bowl at one end of the village and that there is a good range of skiing at a decent altitude. The resorts of the SkiWelt each tend to have different characters and Ellmau has long cherished its reputation as the “family resort”. Roughly midway between Innsbruck and Salzburg, the choice of flights is good, and there is a pretty good selection of accommodation in a friendly resort that doesn’t usually attract the rowdy and youthful party crowds of some of its neighbours. Slopes are convenient for the village, but the resort is not the highest of the Tyrolean ski areas. We would like to spend a weekend (8th March until 10th March, 2 nights) in a family friendly ski resort in Austria. We think Seefeld, Serfaus or Ellmau would be convenient. We are a family with two boys (10 and 6 years old who are just beginners). We would be driving a car from Munich. We were thinking on an apartment (if possible with nice views) or hotel with big room for 2+2.